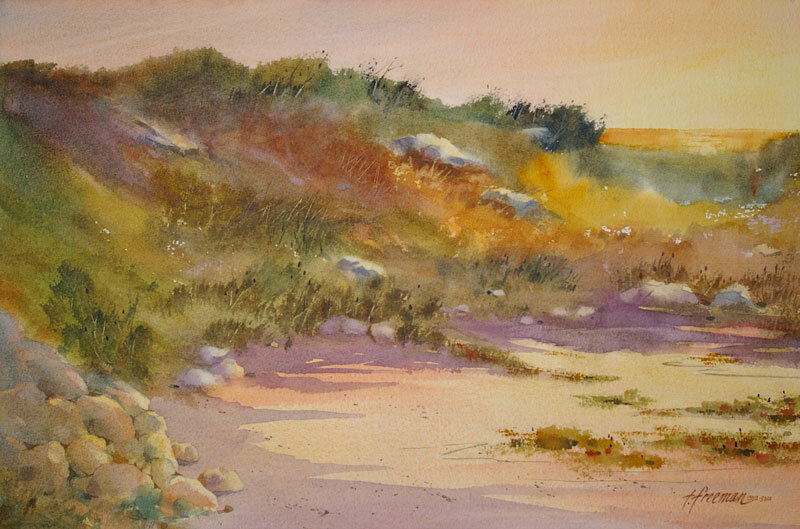 Thomas Freeman Original Watercolor Painting: "Purple Shadows"
This is a scene of Pacific Grove, CA., late in the day. A combination of painting wet and dry created soft and hard edges. And the purple shadows became the title.